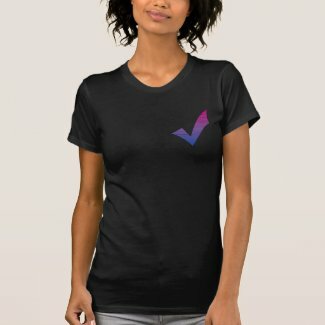 Sometimes we want to be a bit more subtle than others. A giant bi pride flag doesn’t always need to be waved around every second of the day, but visibility is important. This is simple and to the point. 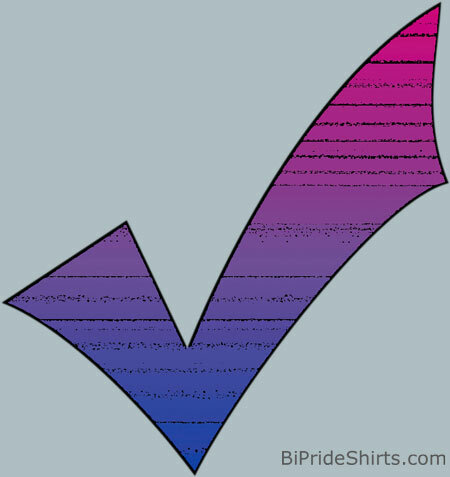 A check-mark in a bi pride colors pattern that basically says “I’m bisexual and proud of it” without actually saying a word.